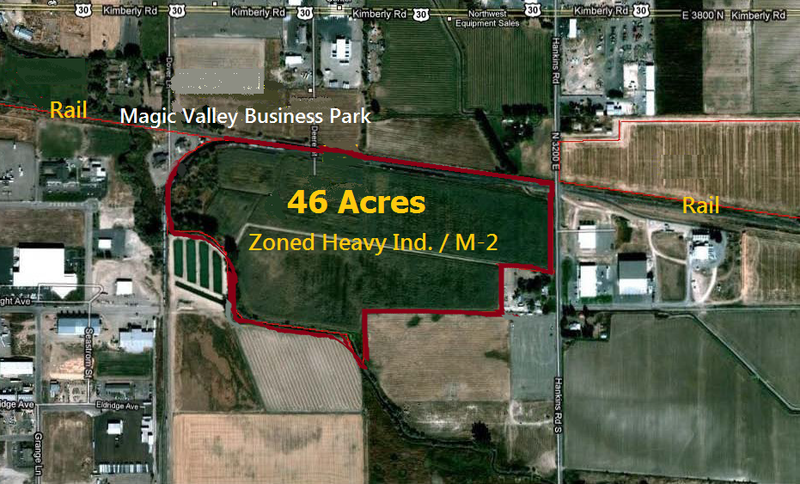 This Greenfield site is located on Hankins Road on the southeast side of Twin Falls, just 1/2 mile south of Hwy 30 and less than five miles to I-84. This is a newly developing industrial area –formerly used for agriculture. 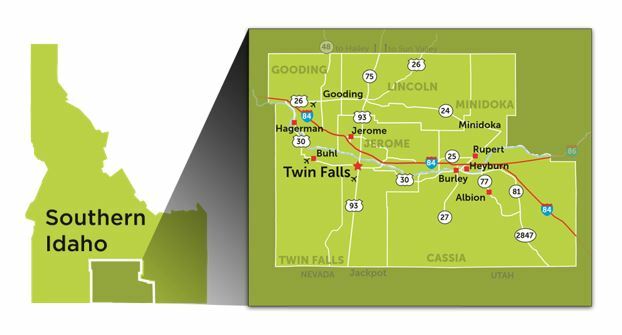 Twin Falls is centrally located in south-central Idaho on I-84 and is a manufacturing center as well as the region’s medical, educational, and retail hub. In recent years we have diversified our traditional economic base of agriculture and food processing by adding new clusters such as RV manufacturing, light manufacturing, and technical centers. Recently Twin Falls has added new consumer-branded food processing companies to its industry roster. Groups like Chobani Yogurt and Clif Bar bakery along with food science to complement the yogurt, cheese, potato, sugar, wheat, and fish processing. 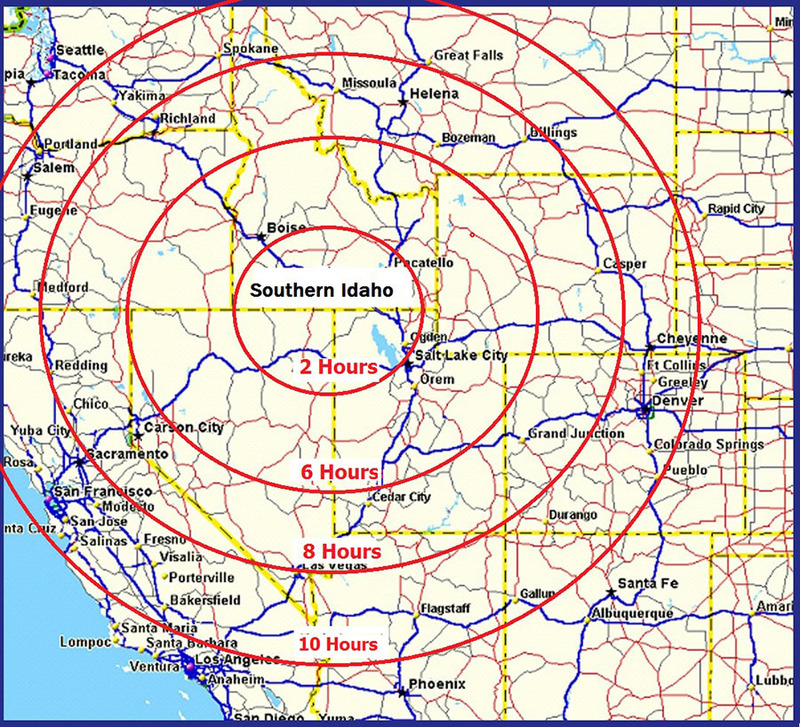 Idaho and the Magic Valley have a well-deserved reputation of welcoming new business and helping existing companies to grow. Population: Approximately 46,000 within the City, while Twin Falls County has 80,000 residents. 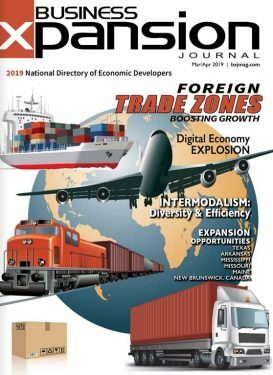 The trade area is 200,000. Low business costs:2% of the national average, making it one of the lowest of the eight Western states. Energy costs: 2nd lowest electricity and natural gas costs among the eight Western states. 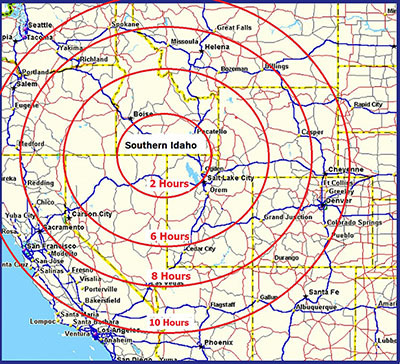 Southern Idaho Economic Development Organization helps diversify and strengthen local economies by supporting business retention, expansion and attraction in the southern Idaho region.